Rathi Dragon ($0.33) Price History from major stores - Tempest - MTGPrice.com Values for Ebay, Amazon and hobby stores! 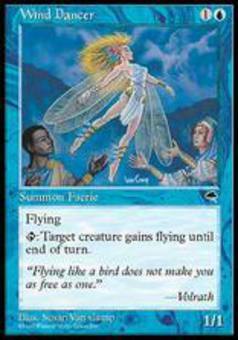 Card Text: Flying (This creature can't be blocked except by creatures with flying or reach.) 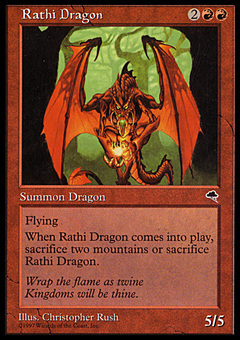 When Rathi Dragon enters the battlefield, sacrifice it unless you sacrifice two Mountains. 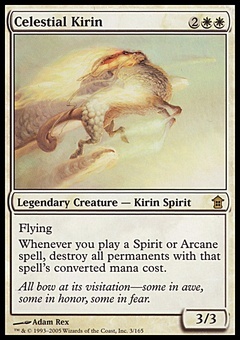 Flavor Text: Wrap the flame as twine Kingdoms will be thine.